Hardwoods bring beauty and strength to Seville cabinets. Seville strives to purchase and use the finest hardwoods from around the country. No matter which wood species you choose for your cabinetry, please keep in mind that no two pieces of wood are exactly the same. Stains can exaggerate the difference between open and closed grains and other markings in wood. Grain and color variations should be expected. As hardwood ages, it will darken when exposed to different types of light. Color differences or changes in wood can also be caused by exposure to harsh chemicals, extreme heat, moisture, or other contributing external conditions. Alder is a very popular wood choice for cabinetry. It is a medium-hard Pacific Coast hardwood. The wood tends to be a light tan to reddish brown and the color darkens and reddens with age. There is very little distinction between heartwood and sapwood. Alder has a straight grain, a uniform texture, and a subtle figure. 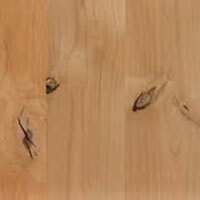 Generally, Alder wood has small “Pin” knots, under a quarter inch in diameter. Rustic Alder shares the same attributes as Alder, and features a random blend of natural characteristics (shown here) that occur much more frequently than in Alder. Knots may be open and seen though. Cherry is moderate in hardness, weight, and strength, with a fine to medium grain pattern and a relatively smooth surface. Characteristics include gum spots, pin knots, and sapwood. Colors vary from off-white to light red to dark, reddish brown. Cherry will mellow as it ages and will take on a rich patina with exposure to sunlight and day-to-day use. Over time, cabinets in different areas of the same room may appear quite different due to variations in light exposure. 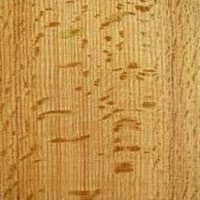 Rustic Cherry shares the same attributes as Cherry, and features a random blend of natural characteristics that occur much more frequently than in Cherry. Knots may be open and seen though. Hard Maple is a heavy and strong wood. It is highly resistant to abrasive wear. Hard Maple has visible, but not prominent, annual growth rings. Characteristics include burled grain, pin knots, and caramelizing. Heartwood is very light brown or tan, sometimes with dark mineral streaks. Paint Grade Maple has a smooth even surface that makes it ideal for painting Mortise & Tenon, Mitered, and Slab constructed doors. Hickory is a very heavy and strong hardwood. It has very distinct growth rings and can contain random knots and wormholes. The heartwood is light reddish-brown or tan and the sapwood is creamy white. This color variation can appear across a single door or panel.These characteristics should be expected and considered desirable in hickory cabinetry. 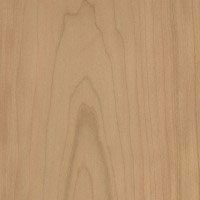 Rustic Hickory shares the same attributes as Hickory, and features a random blend of natural characteristics that occur much more frequently than in Hickory. Knots may be open and seen though. 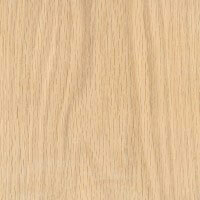 Red Oak is a very heavy, hard and strong hardwood. The annual growth rings of Oak are widely separated resulting in a coarser textured wood. The heartwood tends to be a reddish color. Many characteristics show, including mineral streaks, ray flecks, and pin or closed knots. When painted, the wood grain creates a unique visual texture. This look can be enhanced with glazing. 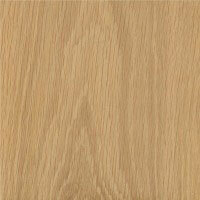 White Oak is slightly denser than Red Oak with tighter growth rings. The grain is straight, with a coarse, uneven texture. 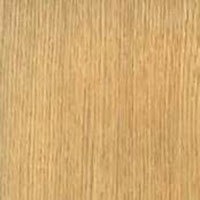 Heartwood is a light to medium brown with a slight olive cast. 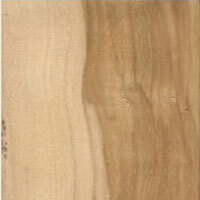 Sapwood is nearly white to a light brown. Quarter Sawn Red and White Oak is created by first cutting the log into quarters and then slicing the quartered portion so that the growth rings intersect the face of the board at a 90 to 60 degree angle.This grain appears quite straight with pronounced flecking. Rift Cut Red and White Oak has the growth rings intersecting the face of the board at 30 to 60 degrees. This produces a linear grain pattern with no flecking. 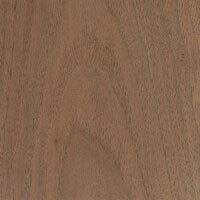 Walnut is very dense and durable hardwood. Walnut grain patterns range from straight to irregular swirl and/or burl patterns and display a natural luster. 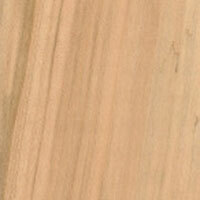 Natural color variations range from dark chocolate to lighter browns and blond or white sapwood. MDF is an engineered wood product made by breaking down hardwood or softwood, combining it a binder and forming panels by applying high temperature and pressure. 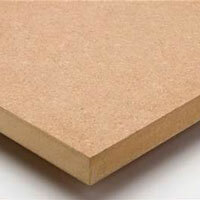 MDF does not contain knots or rings, making it more uniform than natural woods. It has a hard, flat, smooth surface that makes it ideal for painting. Mineral-like streaks of color naturally occurring in random spots.